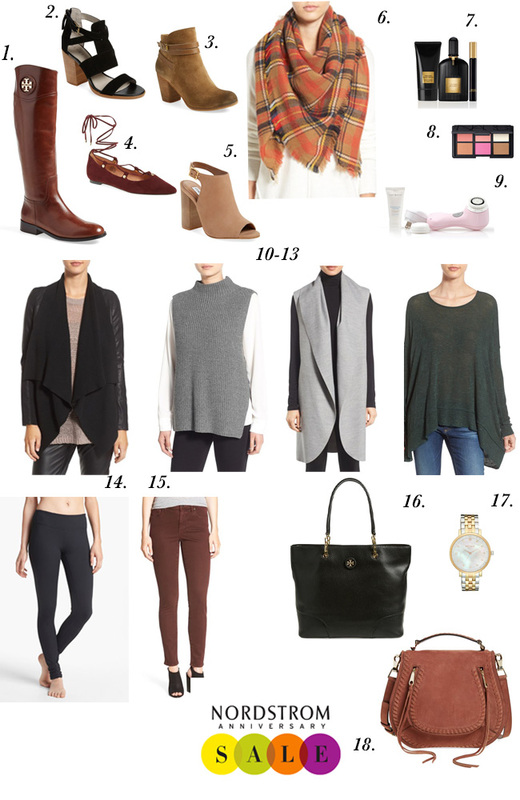 With Style and a Little Grace: Nordstrom Anniversary Sale - My Top Picks! Good Morning Friends! I am sure by now you have been BLASTED by the crazy madness that is the upcoming Nordstrom Anniversary sale. To be honest that's because it is seriously the best sale and the time to snag those big ticket items that you have been eyeing all year long. If you are a Nordstrom Card Holder you can currently shop the sale early and if you are like me and aren't - not allowing myself another card - you can shop the sale this Thursday! I have rounded up all the items that are on my wish-list but honestly I will either get one big item - this bag or these boots. Or I might get a few smaller wardrobe items and this for my face. Such a good time to get your Fall necessities! Happy Shopping - oh it makes me so excited! What are you shopping for - let me know!